Regardless of the industry or vertical your organization is in, today’s customer is shaping the demand for application monitoring tools. From processing loan applications to e-commerce platforms to web apps and third-party connections, organizations today need to take the time to be sure that all the software and applications in their stack, are accessible and performing smoothly. No one wants a disappointing user experience. An organization’s top priority should be to ensure that their applications are running at their peak efficiency – with minimal downtime – and APM (Application Performance Management) tools are essential in enhancing the user experiences. There are a lot of APM tools on the market today and no two are created the same. Further down in the article, we list the top APM tools in the market, along with a comparison of their key features and benefits. However, the primary goal is to find a comprehensive tool that is focused on enhancing the end-user experience. A side-by-side comparison of APM tools should quickly reveal which feature-sets are essential for your organization. Today’s user will likely be able to access your applications from anywhere in the world, via various browsers, devices, and connection speeds. Finding an application performance monitoring tool or platform that not only provides real-time visibility into your websites, web services, infrastructure and networks, but also includes features that complement your monitoring objectives, such as performance testing, is essential for developing and releasing a quality application. Below are 15 of the most top application monitoring tools, along with their key features, to review when considering an application performance monitoring solution for your company. 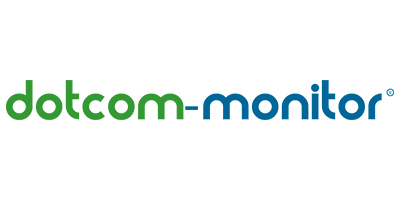 Dotcom-Monitor also offers a performance and load/stress testing through the LoadView platform. Customers looking to perform load/stress testing from the cloud can quickly spin up on-demand load/stress tests with thousands of concurrent users. 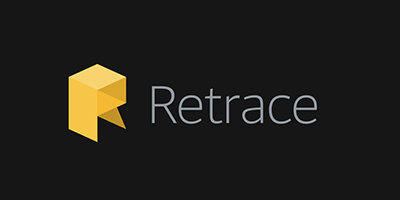 Founded in 2012, Retrace was designed with developers in mind, helping to find bugs, troubleshoot production issues, improve code, and optimize application performance. The Stackify Retrace APM supports many common frameworks and can automatically discover all the apps on your server, helping to monitor, alert, and notify specific teams, via custom email and SMS alerts, if issues arise. Customers also have the option to create their own custom metrics as well as monitor performance counters to measure uptime, CPU, memory, network and disk utilization. 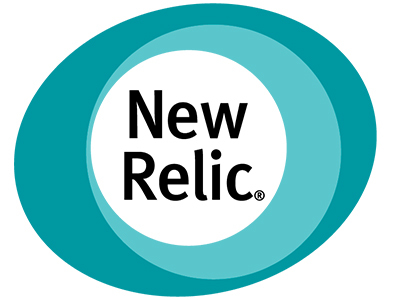 Founded in 2008, New Relic is a multi-tenant APM platform that gives users deep insight and analytics into every part of their environment, giving users the ability to optimize application response times, transactions, and load times. View and analyze massive amounts of data and gain actionable insights, such as root-cause analysis, distributed tracing, browser-side application performance, and overall infrastructure health. New Relic offers synthetic and RUM (Real User Monitoring) options, as well as Enterprise-grade security. 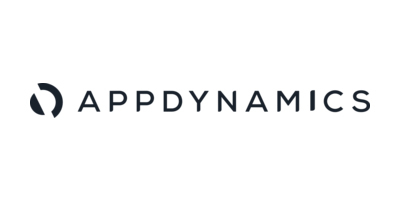 Acquired by Cisco in 2017, AppDynamics provides an application and businesses monitoring platform for today’s enterprises. Their platform includes products for End User Monitoring (Synthetic and RUM monitoring), Infrastructure Visibility, and Business Performance to help manage end-to-end performance. Deploying agents throughout the environment, AppDynamics gives teams a view into their app topology, regardless of the environment, through customizable dashboards, giving metrics and data to make informed business decisions and driving application performance. SolarWinds provides tools and technology that helps IT manage their infrastructure. Through their AppOptics platform, this APM tool allows for monitoring across the stack, providing insight to into various application performance dynamics over historical releases. The AppOptics solution supports cloud and hybrid environments and provides monitoring and visibility into infrastructure and applications, along with supporting metrics and analytics. 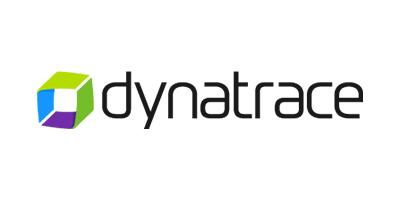 Founded in 2005, Dynatrace offers a variety of automated testing for various web performance issues. Geared toward modern enterprises, the Dynatrace APM is an all-in-one, AI powered solution. Dynatrace’s all-in-one approach integrates all kinds of monitoring, from user-experience and application monitoring to server and network monitoring. Dynatrace recently announced that they are sunsetting their Synthetic Classic platform in 2019. Founded in 2010, the Datadog APM platform offers a look at web performance from a comprehensive dashboard. An all-in-one monitoring service, Datadog can monitor, troubleshoot, and optimize application performance across your stack – hybrid cloud applications, servers, databases, and applications. Datadog recently announced their integration with Cloudability, support for serverless monitoring (AWS Lambda), and the addition of a synthetic monitoring solution, called Datadog Synthetics. 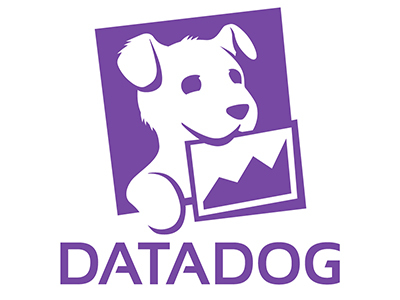 A beta version for Datadog Synthetics will be available in December 2018. SmartBear builds tools for development, testing, and operations teams for monitoring software applications and websites. Their APM suite includes API lifecycle products, software testing platforms, application monitoring tools, and code collaboration and optimization tools. SmartBear has recently acquired the continuous testing platform, Hiptest, as well as test management solution, Zephyr. In October of 2018, they announced a new cloud-based load testing platform called LoadNinja. AlertBot, a service of InfoGenius, is a fully integrated cloud-based APM platform for monitoring websites, mobile, web applications, and other web services from an end-user perspective. When an issue is detected, the service sends an immediate alert, giving the appropriate teams time to fix the issue before more users are impacted. Founded in 2015, Uptime Robot provides basic website uptime monitoring from multiple global locations through an easy-to-use interface, alerting IT teams when downtime issues occur. Uptime Robot offers their product through a free forever plan and a Pro Plan for customers looking for additional features, such as SSL monitoring, advanced notifications, and 1-minute monitoring intervals. Founded in 2007, Uptrends provides cloud-based website performance and network monitoring for managing uptime, performance, and functionality of your sites, API’s, and infrastructure. With over 200+ checkpoint servers, their APM tool is one of the few on the market that combine both synthetic monitoring and real user monitoring in the same package. 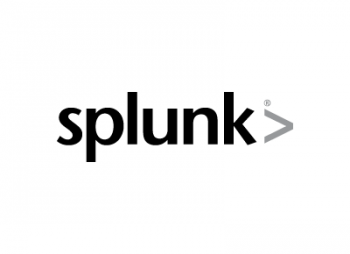 Founded in 2003, Splunk is an APM platform for searching, monitoring, and analyzing machine-generated big data. Splunk has acquired several companies throughout 2018, including Krypton, VictorOps, and Phantom. Additionally, they announced their recent integrations with the AWS Security Hub. The Monitis APM platform provides an all-in-one solution for monitoring websites, applications, servers, and networks, as well as custom monitoring solutions, for IT specialists. Through a centralized dashboard, customers are able to view current uptime, health, and performance of their websites, servers, and networks. Real user monitoring (RUM) and Synthetic transaction monitoring (Chrome and Firefox) available. Acquired by the SolarWinds Cloud family in 2014, Pingdom has been helping companies optimize page speed and performance through their web tools and APM software platform since 2007, ensuring that companies big and small are delivering a consistent experience to their customers. Founded in 2006, the Site24x7 APM platform offers SaaS based server, website, and application performance monitoring for DevOps and IT operations. From more than 90 global locations, they can monitor uptime and performance of your critical webpages and applications. In September of 2018, Site24x7 announced support for Chrome within their Web Transaction Browser. In November 2018, they announced that their Azure monitoring will leverage AI to help IT teams identify issues more quickly. Selecting the right APM is overwhelming as there are many factors to consider. Each tool provides slightly different feature sets and some tools only provide visibility into certain layers of your stack versus complete visibility. Additionally, some tools are designed to run only on specific operating systems. It’s critical to carefully look at every solution to be sure that it meets budget and specification requirements. However, the primary goal is to find a comprehensive tool that centers on analyzing, and enhancing the performance of the end-user experience. Q: What is an APM (Application Performance Monitoring) tool? A: The definition of APM has been evolving along with industry trends and new technologies, so not everyone agrees on clear-cut definition, but essentially, an application performance management (APM) tool allows you to monitor and manage the performance and uptime of your software applications. For example, using an APM tool allows IT teams to monitor the speed and response times of applications to maintain their SLA (Service Level Agreements). If that application dips below a specific threshold, the team can be alerted immediately, diagnose the issue, and potentially avoid any bottlenecks or delays. Most importantly, the goal of any APM tool is to ensure an optimal end user experience. Proper APM tools should also work with any type of website and/or web hosting. Whether you’re working with WordPress or another type of platform, it shouldn’t affect the usage of APM tools and monitoring. One thing to consider though, is if you’ve built a web application on WordPress, you should work to ensure that you’re using the best WordPress hosting available to you in order to minimize performance issues. The top WordPress hosting companies (such as WP Engine, etc.) should also do their own performance testing on their back end to make sure they are no bottlenecks or problems with uptime/performance. Beyond just measuring standard web page or application speed and uptime, there are other tools within the APM framework that can be leveraged to help manage an organization’s entire infrastructure – synthetic monitoring, real user monitoring (RUM), performance testing (load/stress testing), business transaction management, and data and analytics. Q: Which APM tools are right for my website? A: Reviewing and finding the right APM tool can be a laborious task, as there are many factors and vendors to consider. And not all APM tools are created equally. Each vendor provides different levels of features, functionalities, and support. Some tools only provide visibility into all layers of your IT stack versus some free versions that just monitor basic uptime and performance. It’s important to match your environment with an appropriate APM tool. Additionally, some application monitoring tools are designed to run only on specific operating systems. So, it ultimately depends on your organization’s needs and budget, but with so many tools on the market today, you should be able to find one that works for you. Q: Are Application Performance Management tools expensive? A: The short answer is that it depends on the vendor. Products and solutions from the leading application performance management vendors, such as AppDynamics, New Relic, and Dynatrace, for example, can be very expensive on a per month basis. But what you’re getting in return are enterprise-level platforms that have advanced features, such as artificial intelligence, machine learning, full-stack monitoring and integration, hundreds of integrations, and support for the latest emerging technologies. These platforms give organizations a full, comprehensive view into their entire environment. Users can drill down into specific transactions and review individual metrics. However, one of the drawbacks to powerful platforms such as these is that there can be a steep learning curve. These are not platforms you can just begin using out of the box. In some cases, individuals must be trained and certified before they can implement these solutions or organizations must have dedicated staff on-hand to manage these platforms. One of the great things about having so many APM solutions available, is that there are many other vendors that offer solutions below the enterprise level pricing tiers. And because we live in a SaaS-based world, these platforms have the ability to scale to meet the changing needs of organizations.